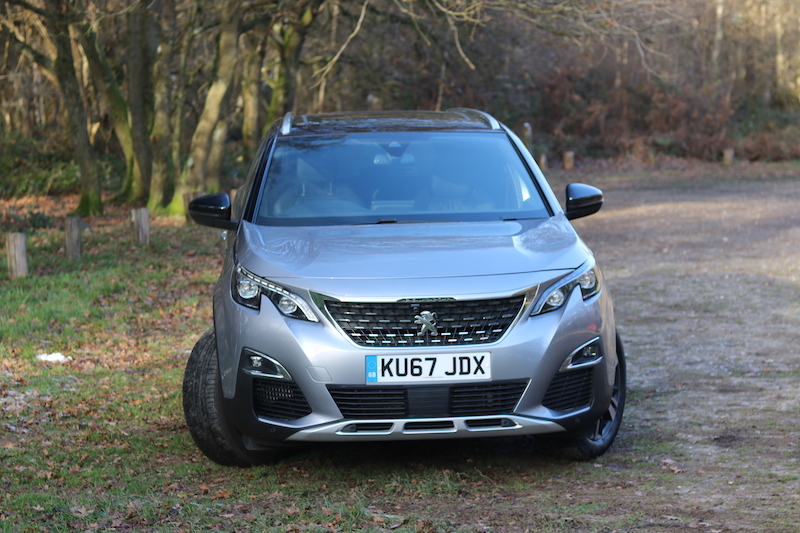 It’s clear that MPVs are a thing of the past, and it’s also clear that Peugeot thinks the same, as the French brand has converted the new 5008 in to a large SUV. Think of it as a bigger brother to the 3008 I tested last month, only this has seven seats as opposed to five, thanks to an increased length of 190mm. 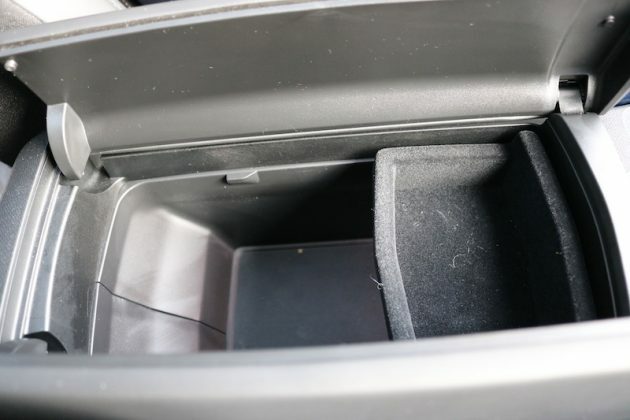 It has more space then, but could it be the car for you? 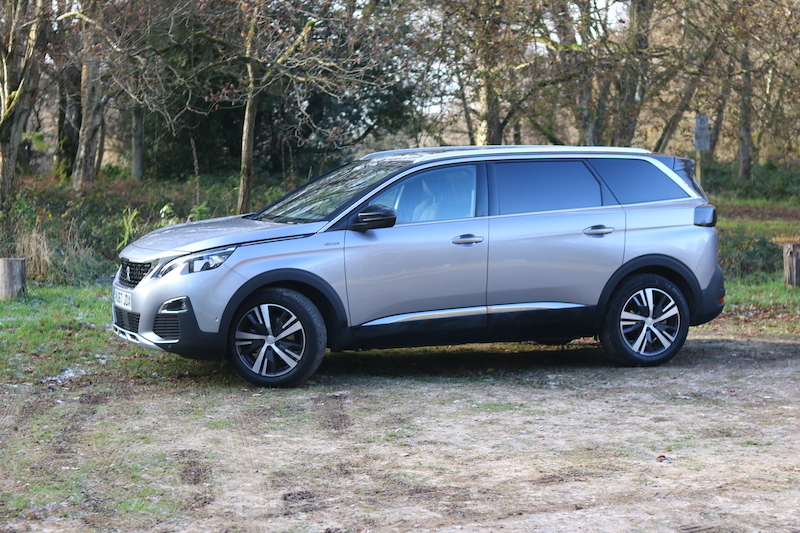 The 5008 has a look very similar to the 3008, so similar in fact, you get a sense Peugeot used a big photocopier and simply made the body a bit longer. That is by no means a bad thing though, as the 3008 is a rather handsome thing. The real differences are to be found at the back, as the 5008 has a flatter back as the roofline cannot swoop down as much, as that would ruin the headroom for those in the third row. It’s a necessary design, but it does look a little slab sided in my eyes. 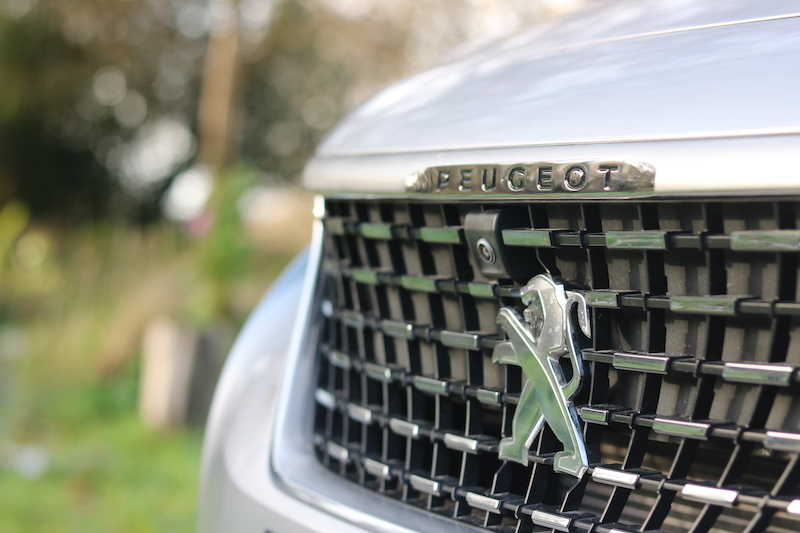 However, I feel Peugeot has made the best of this compromise. I wasn't keen on the front end to begin with, but it's really grown on me. I know it won't everyone's cup of tea though. 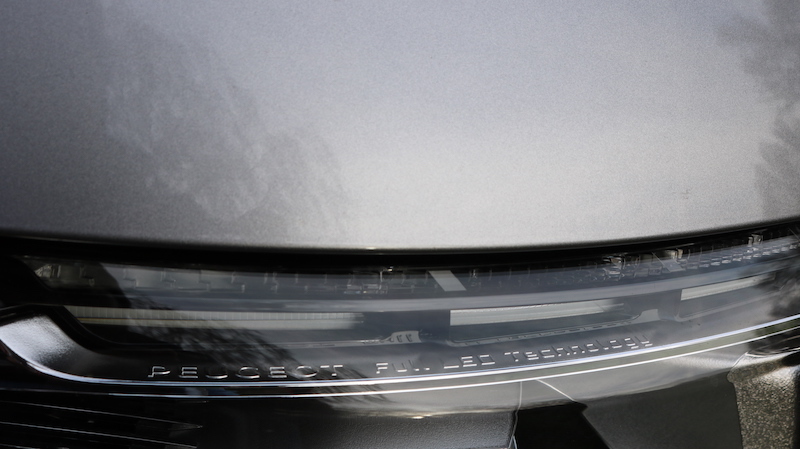 As this is the GT Line, the grille features black Peugeot lettering. 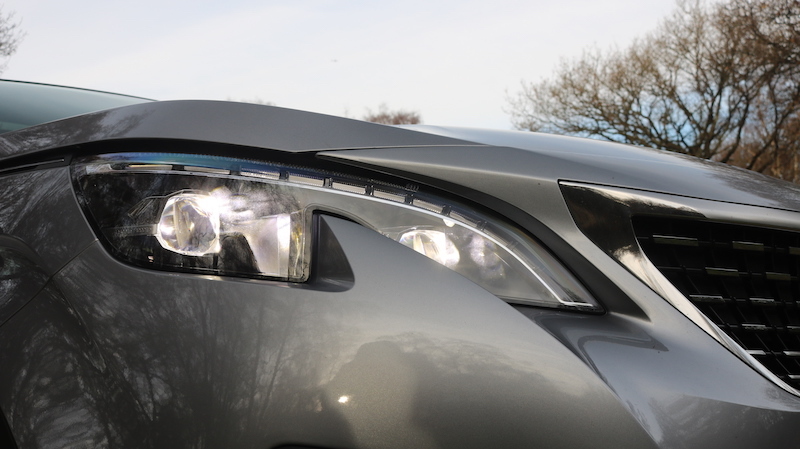 The GT Line also features LED headlights which are brighter than the Blackpool illuminations! The sculpture is rather striking, don't you agree? The GT Line also gets this neat styling feature at the bottom of the bumper. As well as 18" alloys, which some make the ride feel a tad busier than the 18" alloys fitted to the 3008 tested last month. 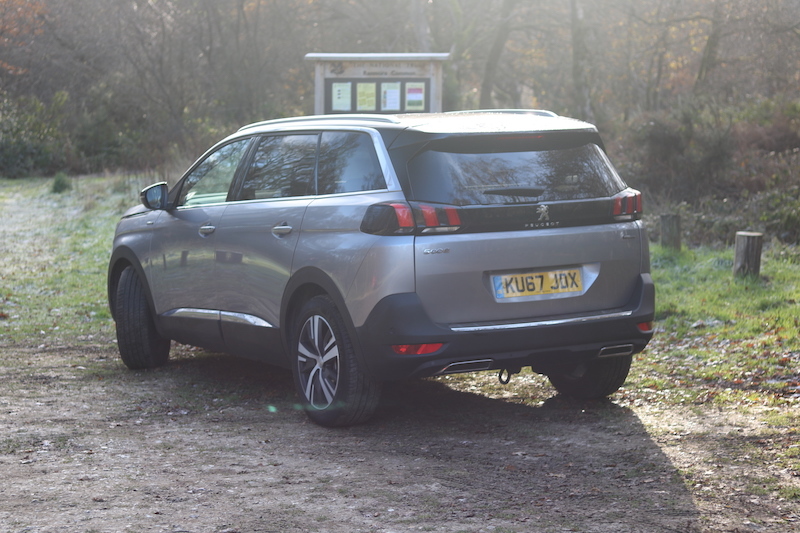 It looks as if Peugeot put the 3008 in a photocopier and made it longer to make the 5008, which is by no means a bad thing. 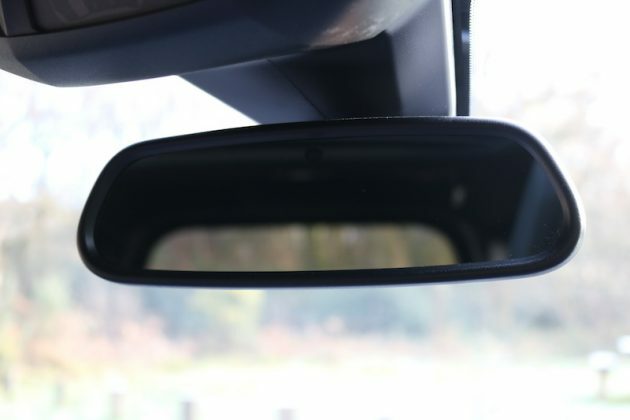 The back end isn't quite as curvy though, but it needs to be a bit boxier to give those in the rear necessary headroom. Because of this though, it's not QUITE as handsome as the 3008. 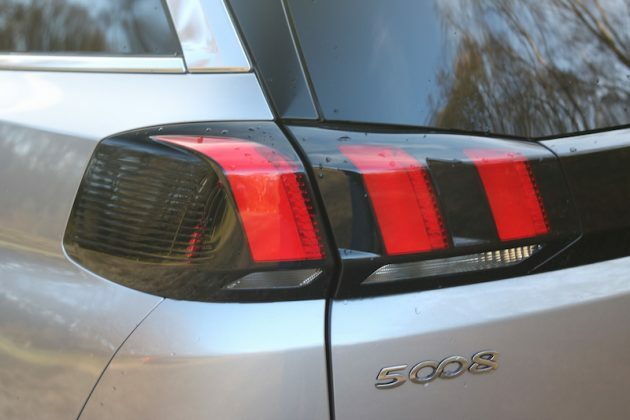 I still really like the design of the rear lights though. 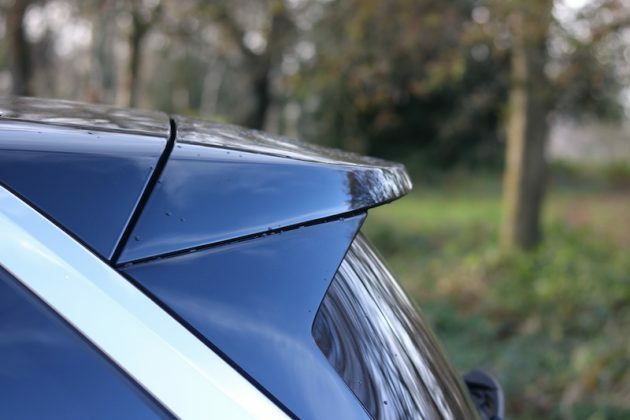 The GT Line receives a sporty black spoiler. It also gets black wing mirrors. 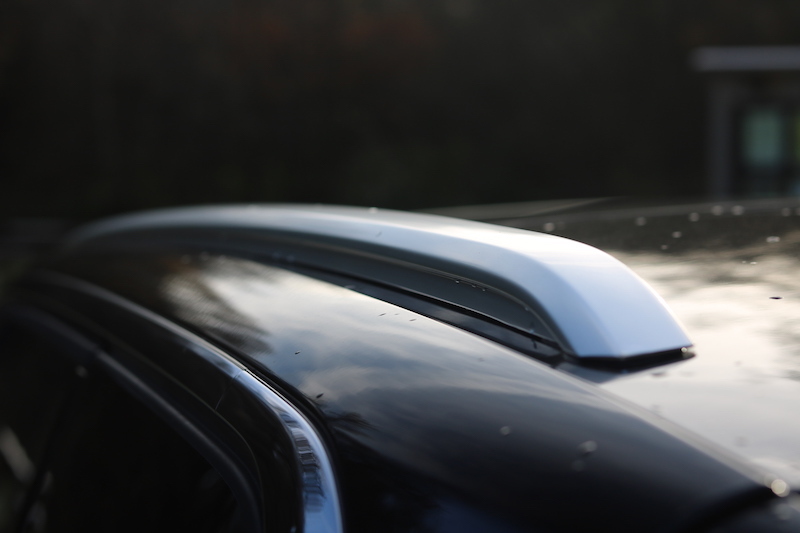 With it being an SUV, it gets the obligatory roof rails. 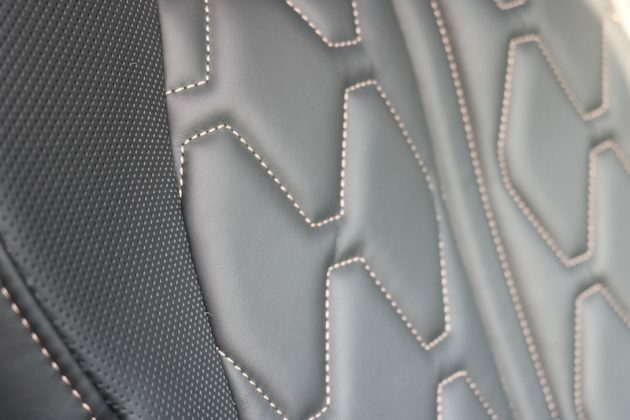 I like the design of the optional leather seats, although I would have like a bit more support from the side bolsters. 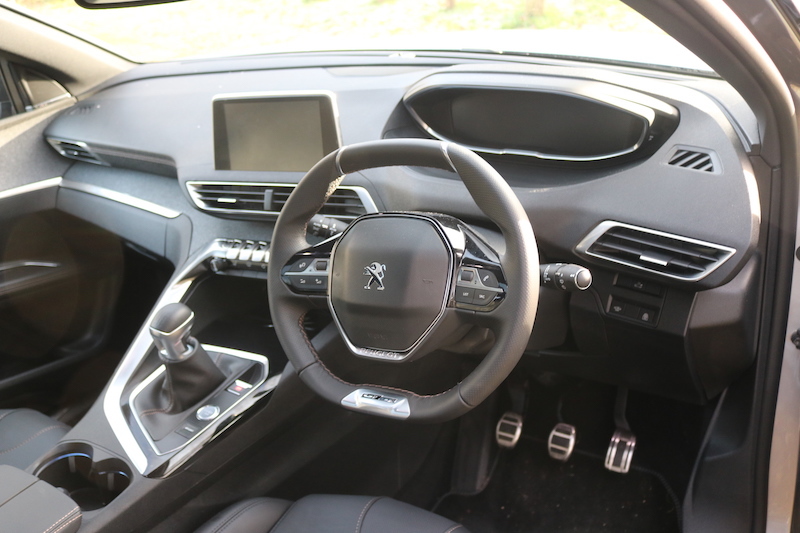 The interior is also similar to the 3008, which once more is a good thing. 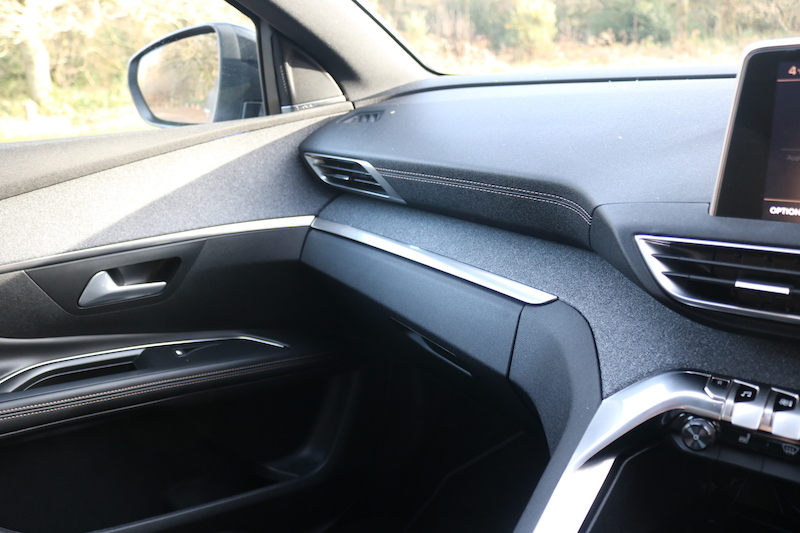 This means you get easily one of the most stylish cabins in class and all-in-all, it’s a lovely place to be. 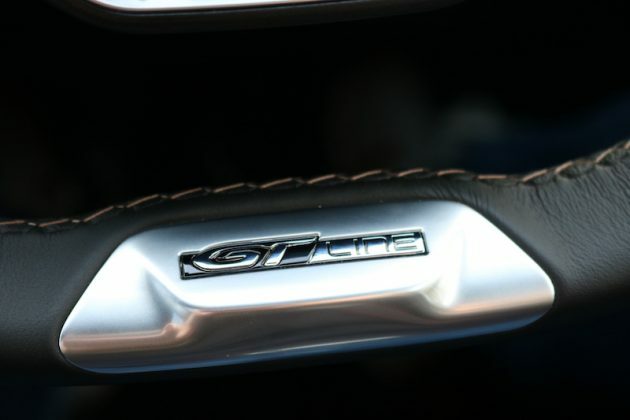 This model is the GT-Line though, which means you get a sporty steering with a GT-Line badge on it, leather seats and sports pedals. As well as the sporty touches, there are plenty of soft touch materials used, and even the door bins have a pleasant fabric within them. 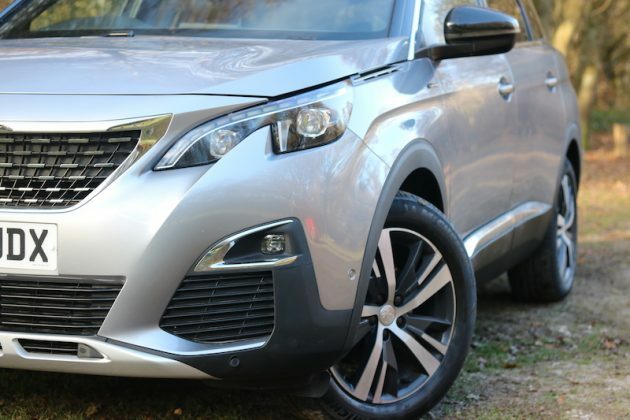 As with the 3008, the 5008 comes with a choice four trim levels. 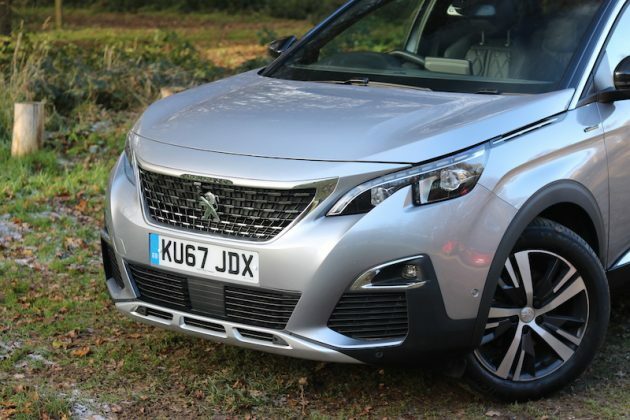 This starts with the ‘Active’ trim, which is priced from £24,495, and comes with goodies such as 17″ alloys, DAB radio, Bluetooth, 8” touchscreen with smartphone connectivity, dual-zone climate control, rear parking sensors, automatic lights and wipers, auto-dimming rear view mirror, and the Peugeot i-Cockpit. 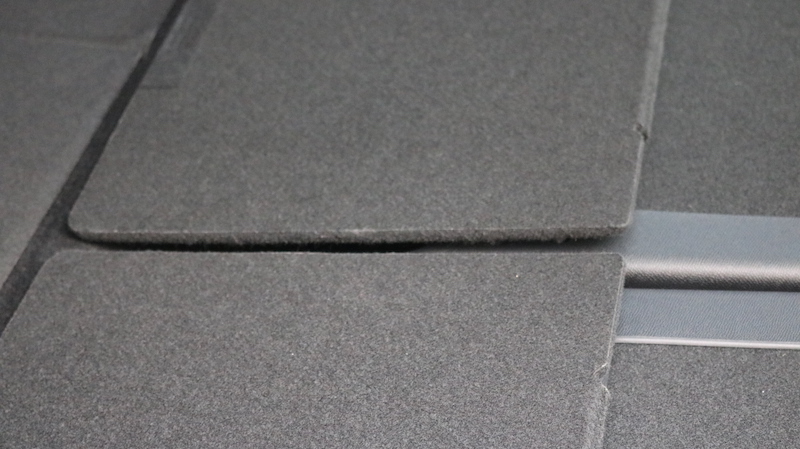 Next up, you have the Allure trim, which is priced from £26,295. 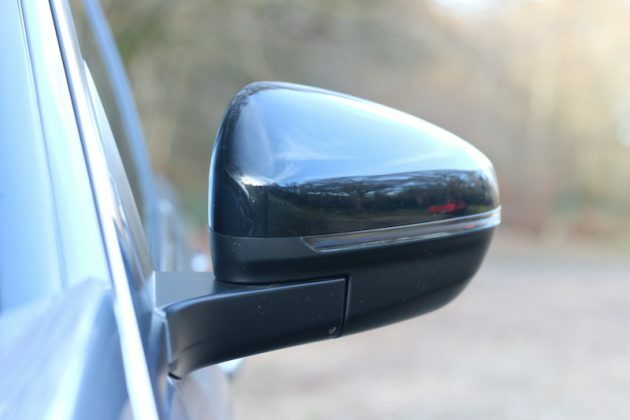 This adds navigation, safety pack, front and rear parking sensors, which is aided by a 180 degree reversing camera and auto dipping wing mirrors. 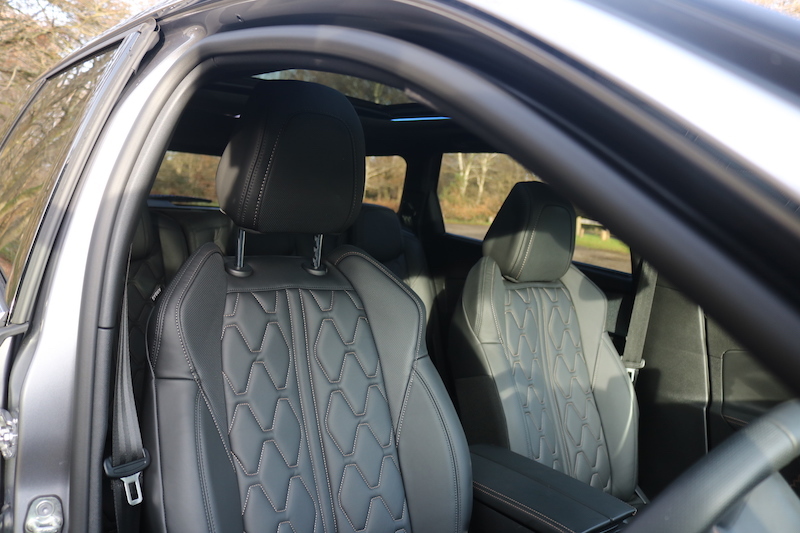 The Allure also adds blue ambient lighting, a front passenger seat that folds down to form a picnic table, and 18″ alloys to name a few. You'll find plenty of equipment within the 5008. 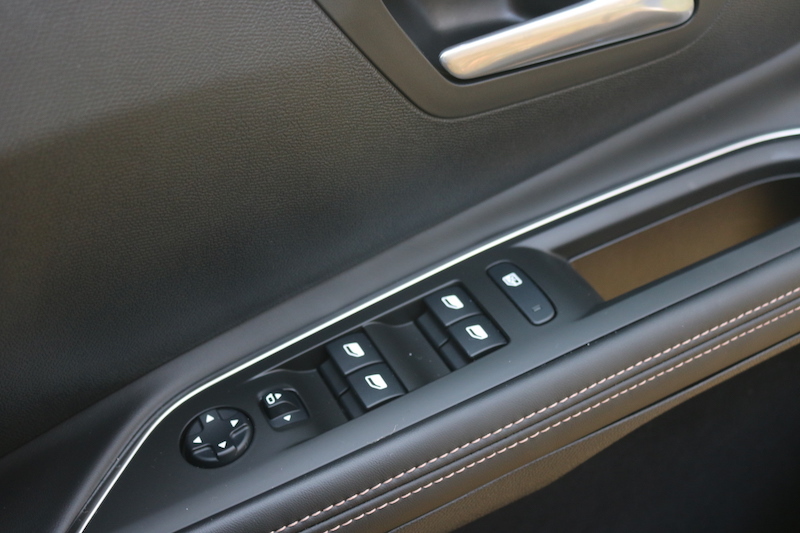 It almost goes without saying, but you get electric windows front and rear. The switchgear is pleasing to look at and also pleasing to use. 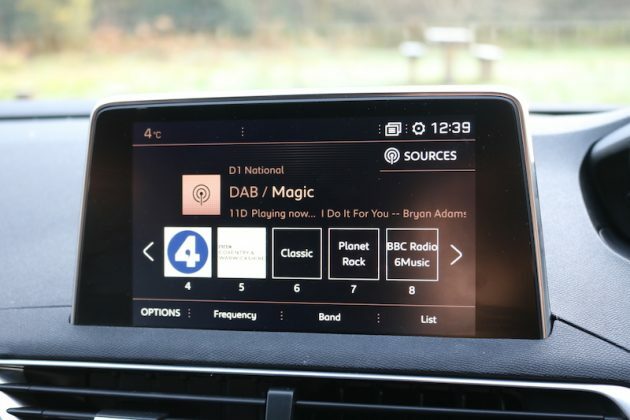 The 8" touchscreen comes standard on all models as does smartphone connectivity, Bluetooth and DAB radio. 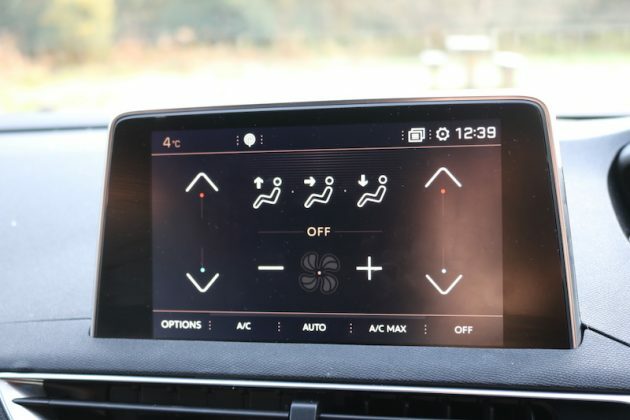 Dual-zone climate control is also standard on all models, but it would be nice to have some physical dials for it as it can be fiddly to operate on the move. 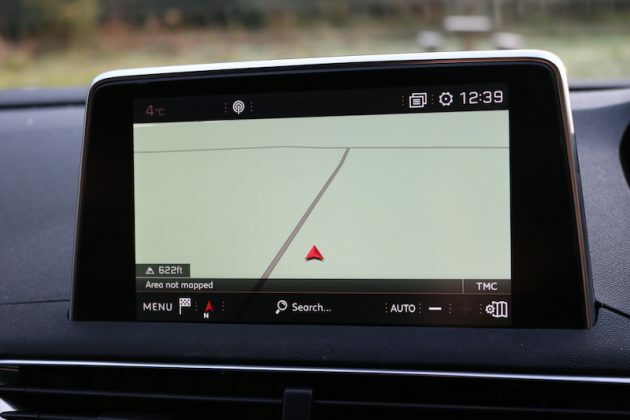 Navigation comes as standard on on models but the base model Active. 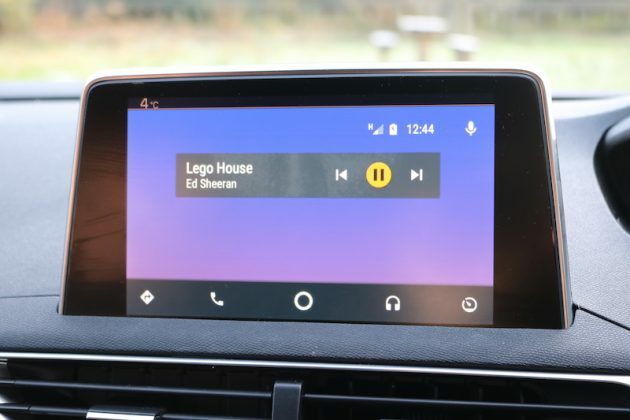 Android Auto and Apple CarPlay is standard on all models. The model tested had the optional massage function for the driver's seat - very nice indeed! 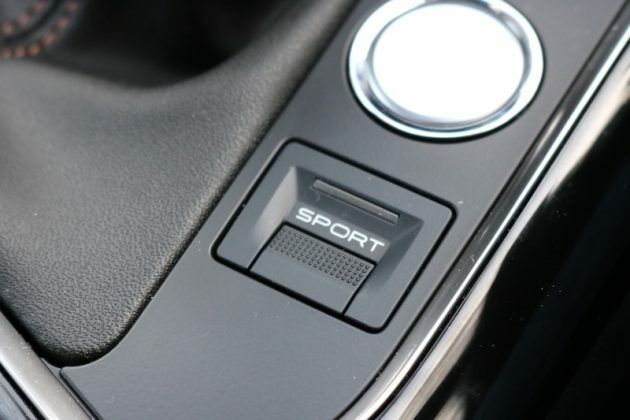 The Sport mode makes the steering heavier, sharpens up the throttle response and feeds engine noise in to the cabin. 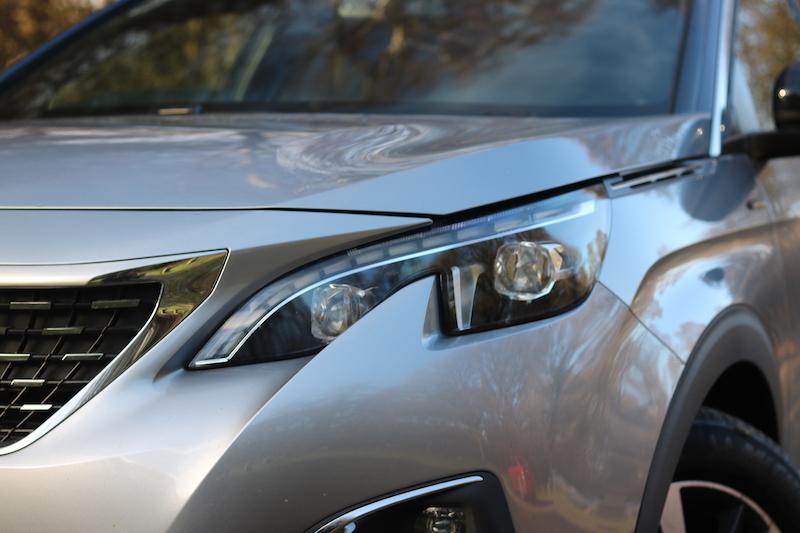 The aforementioned headlights - they may not look that bright, but believe me, they are! 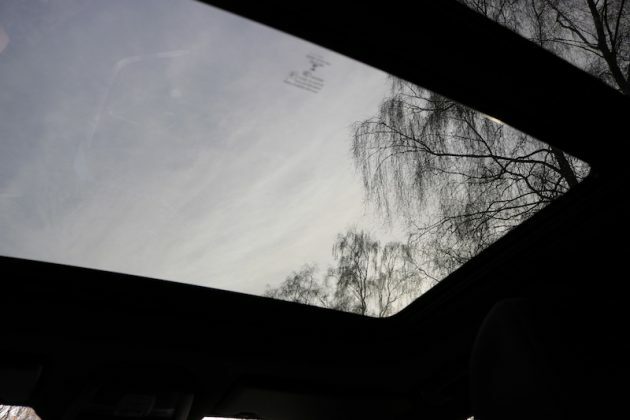 The optional panoramic roof was fitted to this model which makes the cabin more airy, but it does eat in headroom. 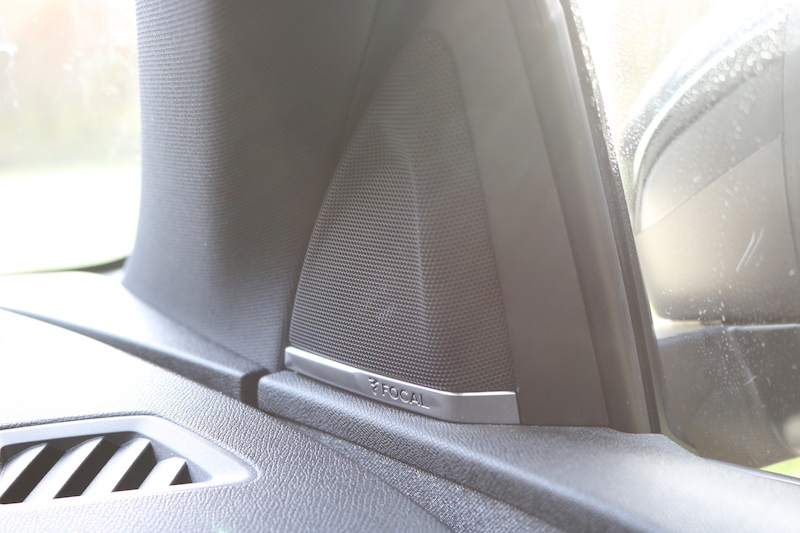 The Focal sound system is also optional and although it sounds good, I definitely think it's an option you can go without. 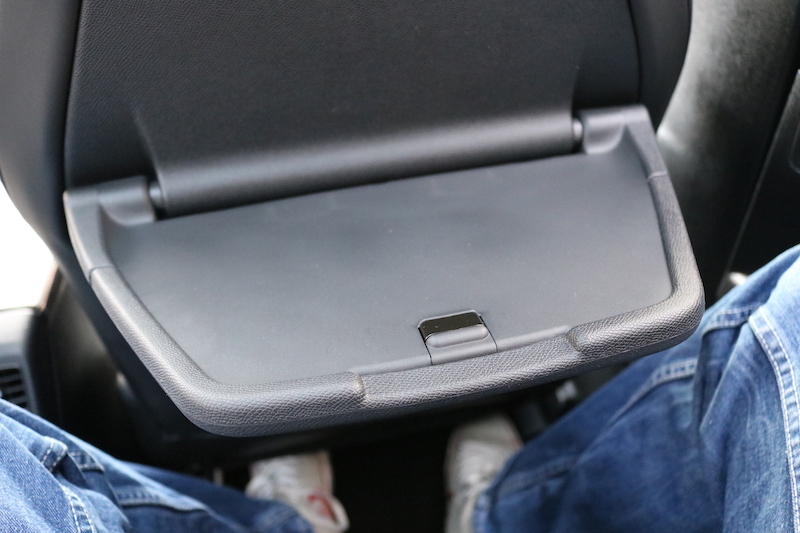 There are handy tables in the GT Line, which could prove to be helpful on long family trips. The GT-Line, however, is priced from £28,195. 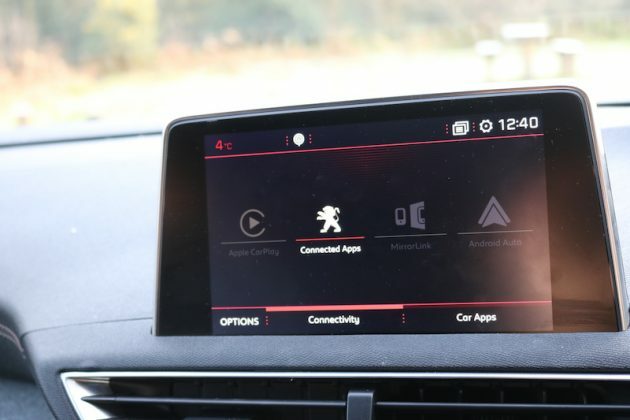 This adds sporty styling, black diamond roof, super-bright full LED headlights, wireless phone charging and Peugeot i-Cockpit with Amplify, which has sensory modes to make your drive more pleasant. The GT Line also has LED foglights with cornering function, Peugeot-branded puddle lights, and you even get front door bins lined with fabric. Last but not least, you have the GT, which wades in at £35,695. 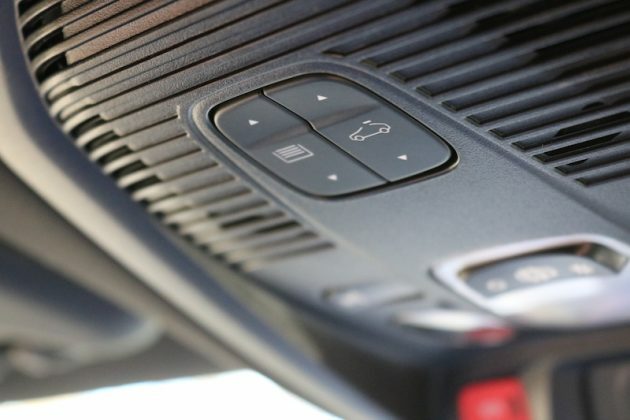 This offers adaptive cruise control, keyless entry, automatic tailgate, heated front seats, a massage seat for the driver, a panoramic roof and 19” rims. 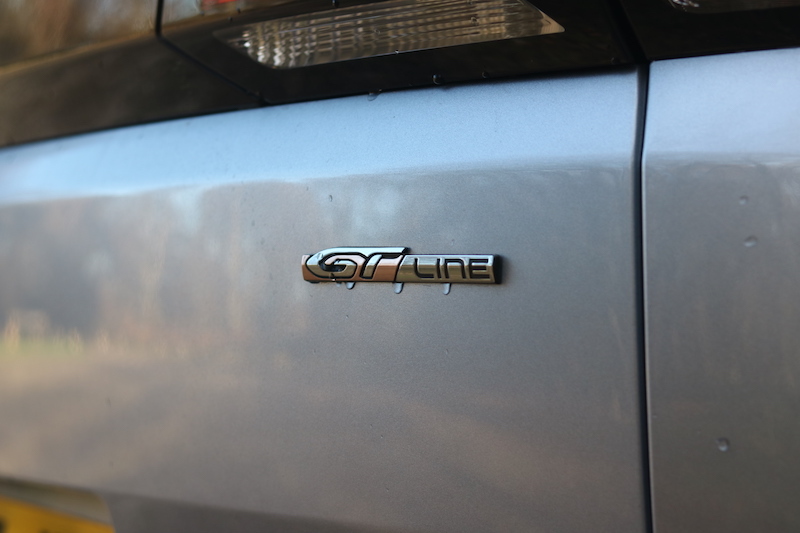 The GT Line and the GT are nice trim levels, but I personally think the Allure will meet the needs for most buyers. 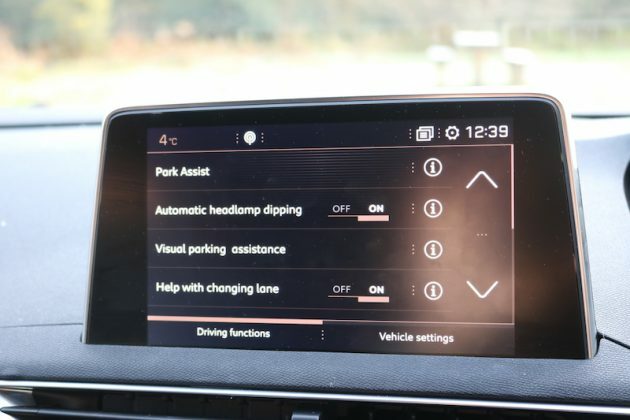 The GT Line tested here did have a few optional extras though including the panoramic roof (£870), a front facing camera (part of the Visio Pack 2 priced at £450), the nappa leather seats – which are heated for the front two – with massage function for the driver (£1,990), the Focal sound system (£590), and the Cumulus Grey metallic paint work (£525). 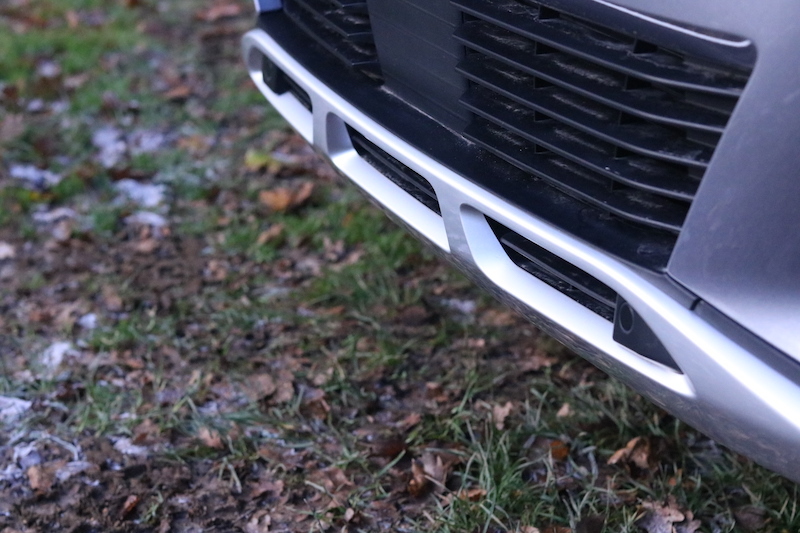 All of this combined, means that the model tested comes in at £31,245. 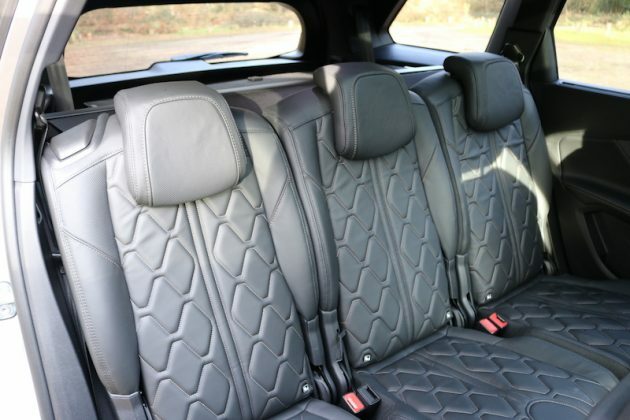 The 5008 is a roomy place to be providing your sat in the right seats. 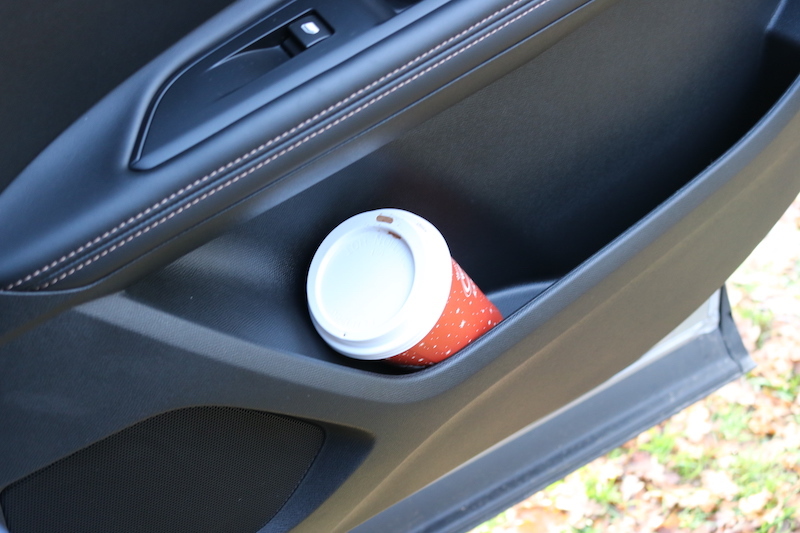 In the front there is plenty of room, plus there are a decent amount of storage places, including two cupholders and good-sized door bins. In the middle row you will find a decent amount of legroom, but because of the optional panoramic roof the headroom is tight to say the least. Speaking of tight, the third row of seats won’t offer much in the way of legroom, although the headroom was better than I was expecting, although it still isn’t fantastic. However, the space should be no problem for children, but adults will struggle to properly fit unless they are of a short stature. 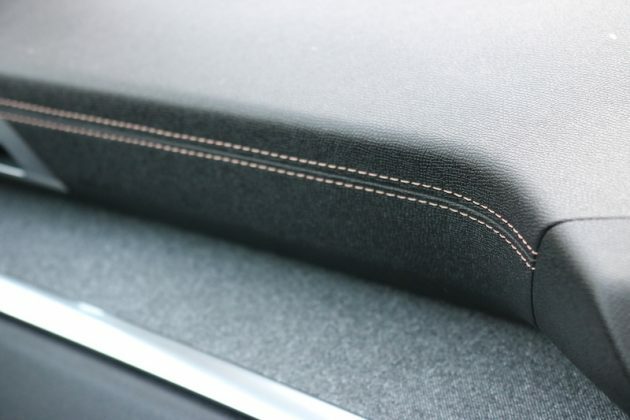 These seats are optional and they're rather comfy, but I would want more support from the side bolsters. 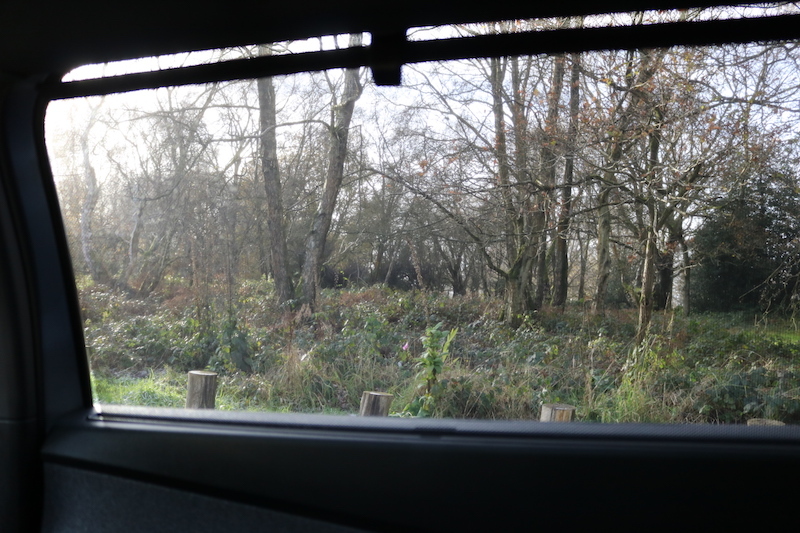 ... as well as a decent-sized cubbyhole behind them. 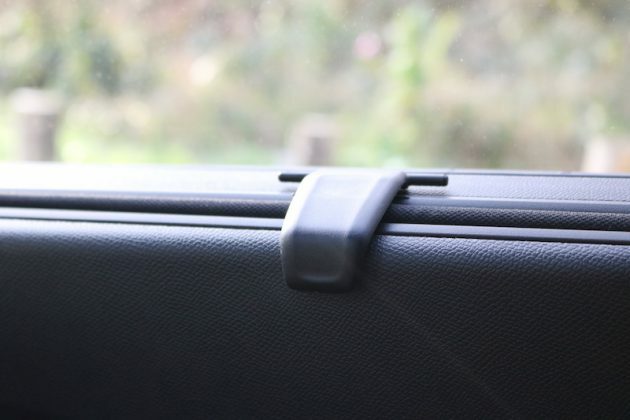 The door bins are also of a good size, and in the case of the GT Line model, there is a fabric lining. Space in the back isn't too bad, but the panoramic roof takes away a fair amount of headroom. 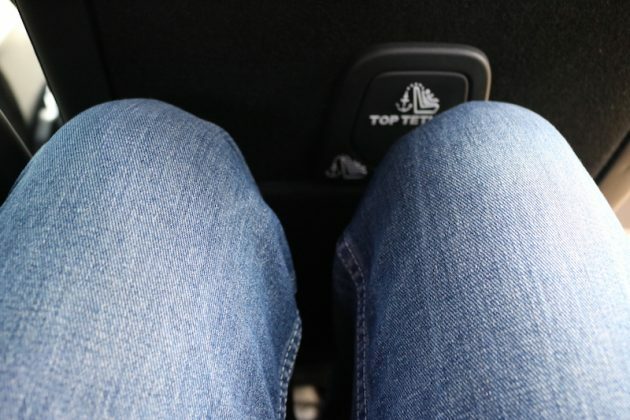 Legroom isn't too bad, but i must note this is with the seat slid all the way back. 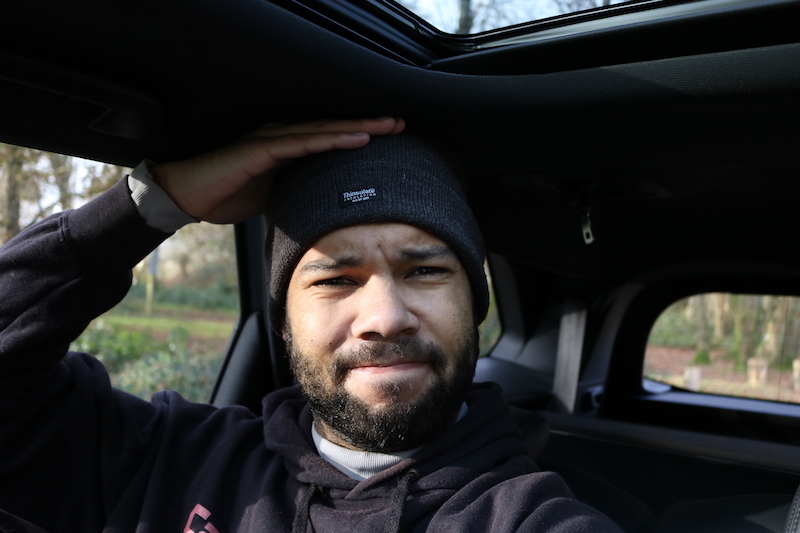 Yeah... the headroom is far from fantastic, so I'd urge to forgo the option of the panoramic roof, unless you're likely to have shorter passengers. On the plus side, the middle row of seats get integrated blinds in the windows, which is quite a clever touch. 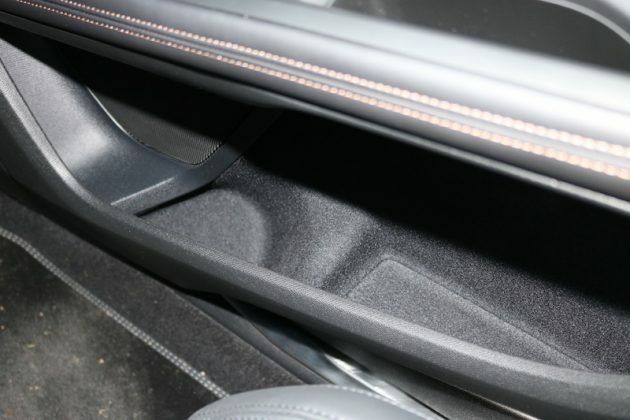 The door bins in the middle row of seats aren't massive but they should be enough for daily use. 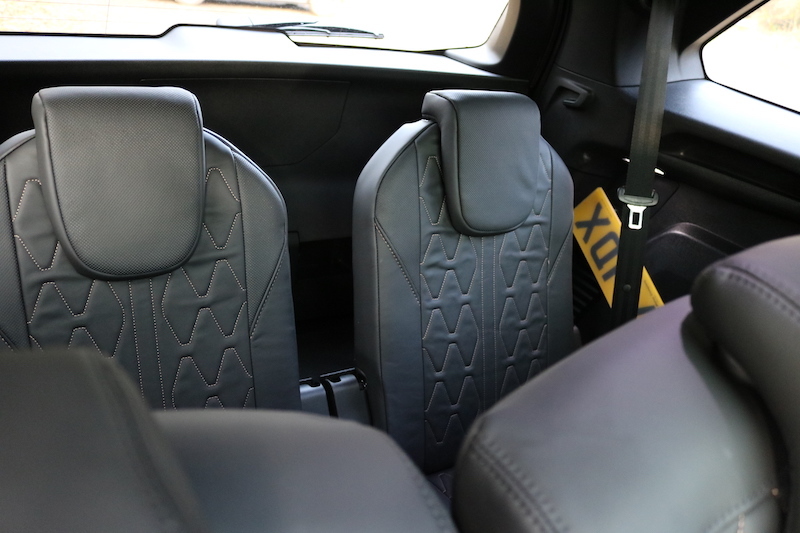 Space in the rear row of seats is limited, so best reserved for children or smaller adults. The boot offers a good amount of space though, with 952 litres on offer, which can be improved to 1,060 if you remove the rear seats. 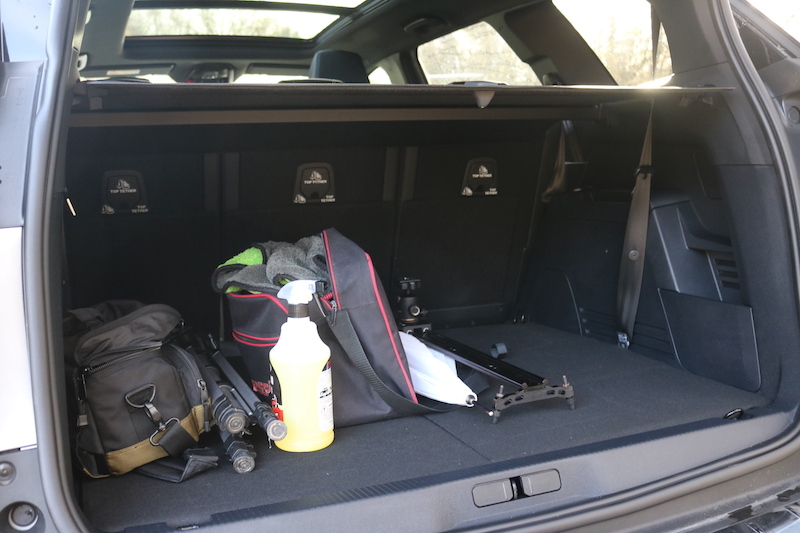 The boot does become a lot smaller of course if all seven seats are in use - 166 litres to the parcel shelf and 237 litres to the roofline. 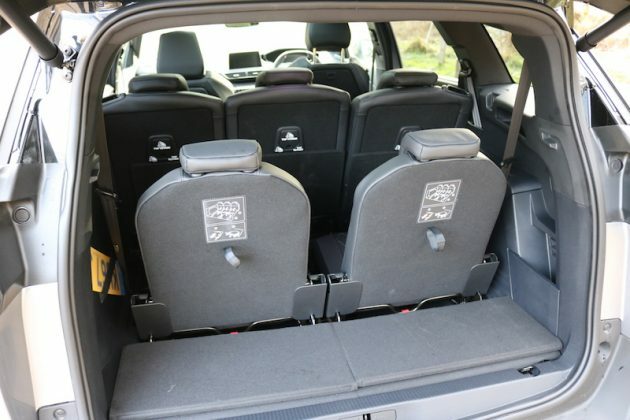 With the rear seats removed and the middle seats folded down, you can receive a gargantuan 2,150 litres. The boot is one of the strongest assets of the 5008 as it’s simply huge. 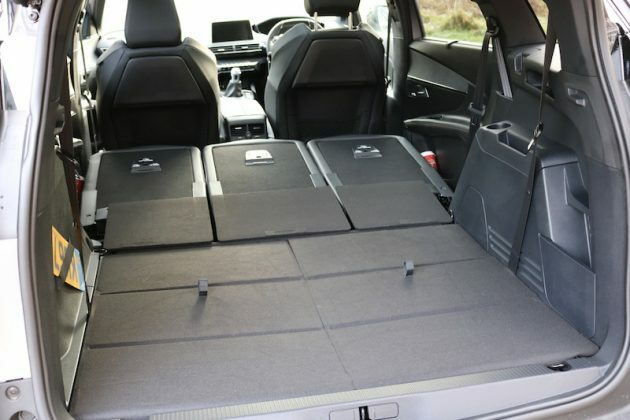 Obviously, space is limited with all seats up, but fold the rear row of seats down and you’ll be able to make use of 952 litres, more than both the Nissan X-Trail and the Skoda Kodiaq. Take out the rear seats and you’ll get an improved capacity of 1060 litres, but you can go all-out by also folding down the middle row of seats, which gives you a colossal 2150 litres! Like its smaller brother, the 5008 comes with a choice of two petrol engines and two diesels, all of which are turbocharged. 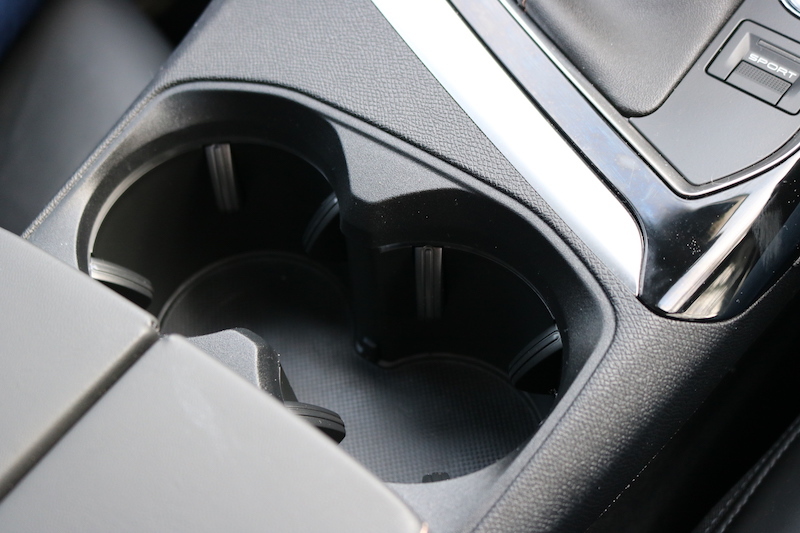 Those wanting petrol can either have a 1.2 litre, three cylinder unit that offers 129bhp, or a 1.6 litre unit that offers 163bhp. 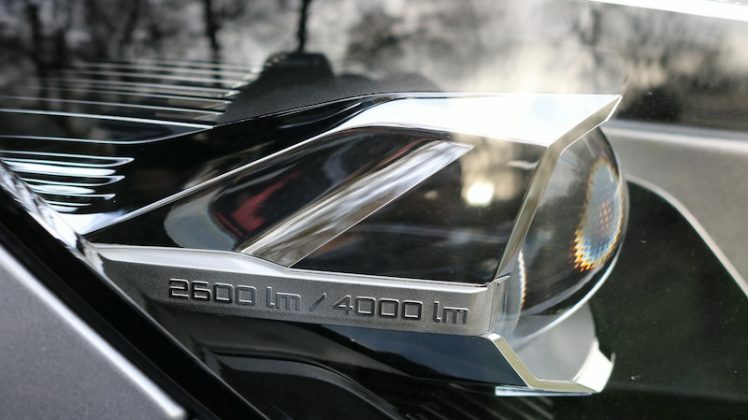 In terms of diesel options, you can choose from either a 1.6 litre unit that offers either 99 or 118bhp, or the 2.0 litre unit which offers either 148bhp or 178bhp. The engine tested here is the 2.0 litre diesel offering 148bhp with 370Nm of torque, and it’s mated to a 6-speed manual gearbox with power fed to the front wheels. 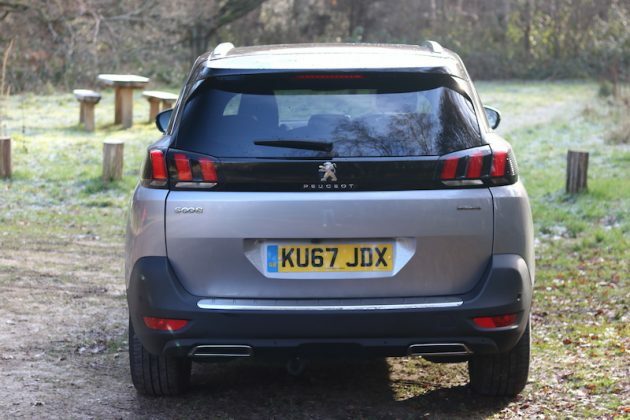 As with other Peugeot SUVs, there is no option for four wheel drive, and instead you have opt for Grip Control, which has off-road driving modes as well as mud and snow tyres. So if four wheel drive is something you’re desperate for, you’re better looking at the X-Trail or the Kodiaq. 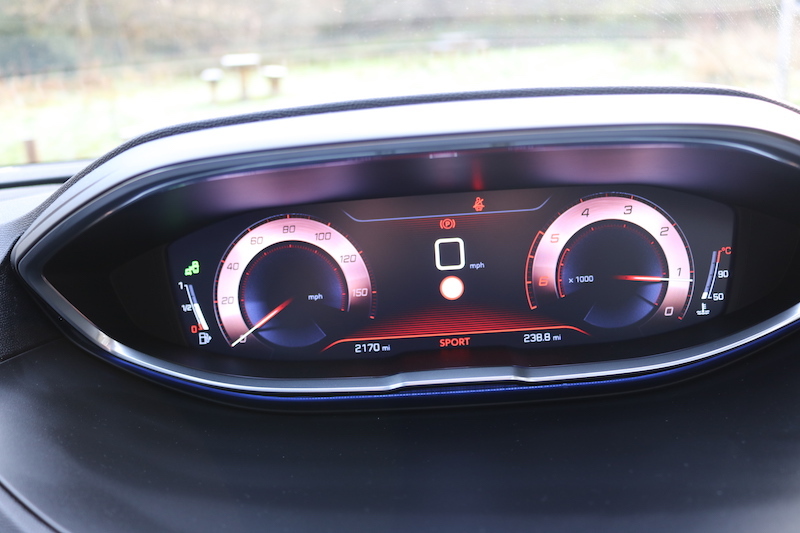 The 2.0 litre diesel offers a good amount of performance, with power coming in quite low down, which continues across the rev range. 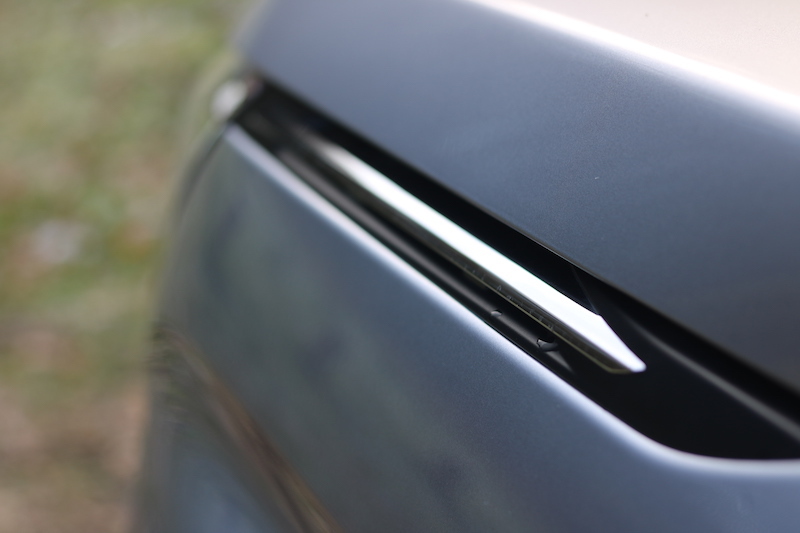 It can become a bit boomy towards the redline, but it’s docile when you are cruising. 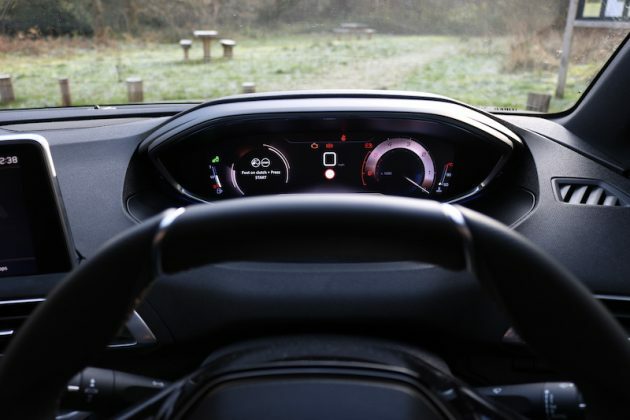 If you don’t fancy cruising though, it will hit 62mph in 9.6 seconds, with a top speed of 129mph. 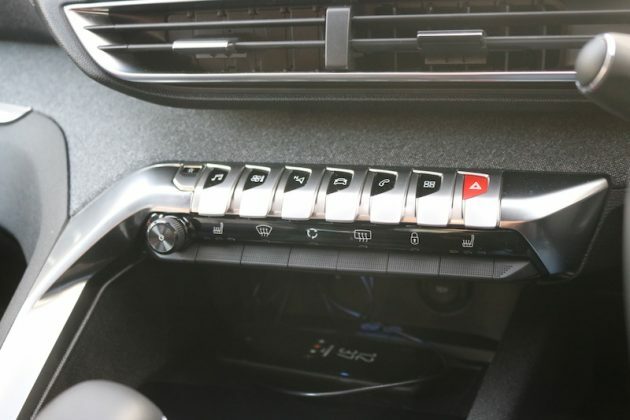 The manual gearbox is rather notchy though, and lacks precision, so I’d recommend that you try one of the automatic options before committing to buy, although the engine tested here is not available with an auto. 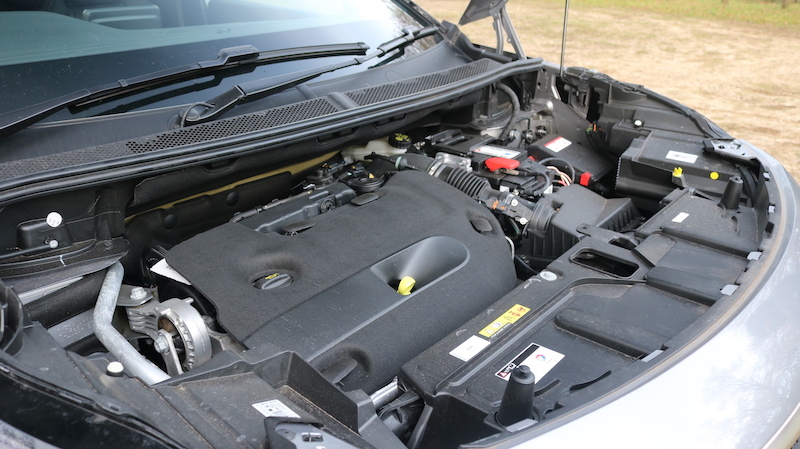 The engine fitted to this model is the 2.0 litre 148bhp diesel, which offers decent performance. 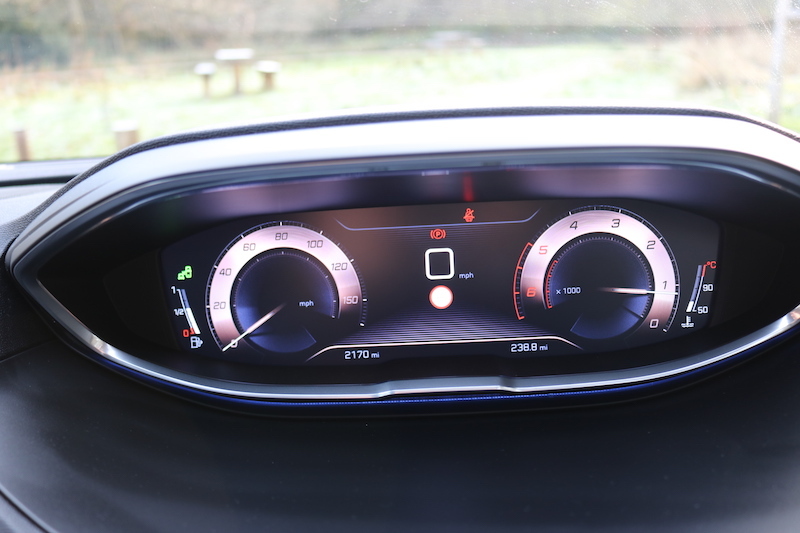 As this is the the GT Line, there is a ‘Sport’ button to make the throttle more responsive, and it also makes the steering heavier as well as feeding more engine noise in to the cabin. 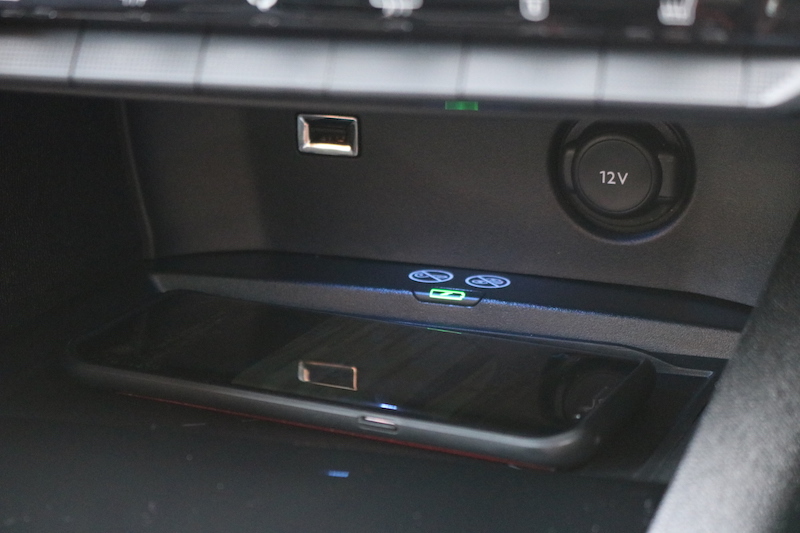 I like the idea, but personally I feel it goes against the nature of the car. The heavier steering is welcome though, as the steering in its standard setting is on the light side, and doesn’t inspire the greatest amount of confidence, plus there is very little in the way of feedback. 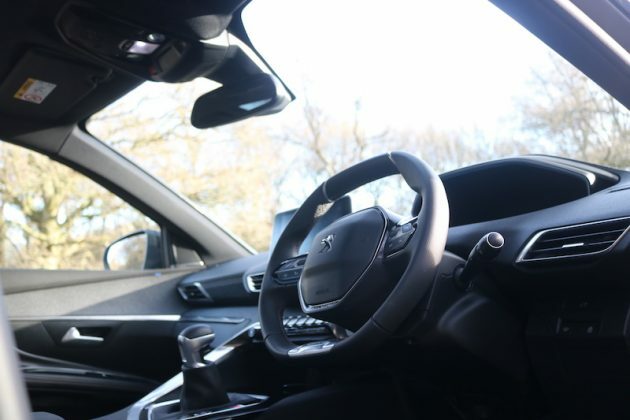 A small steering wheel for such a big car does feel odd to begin, but you get used to it with time. 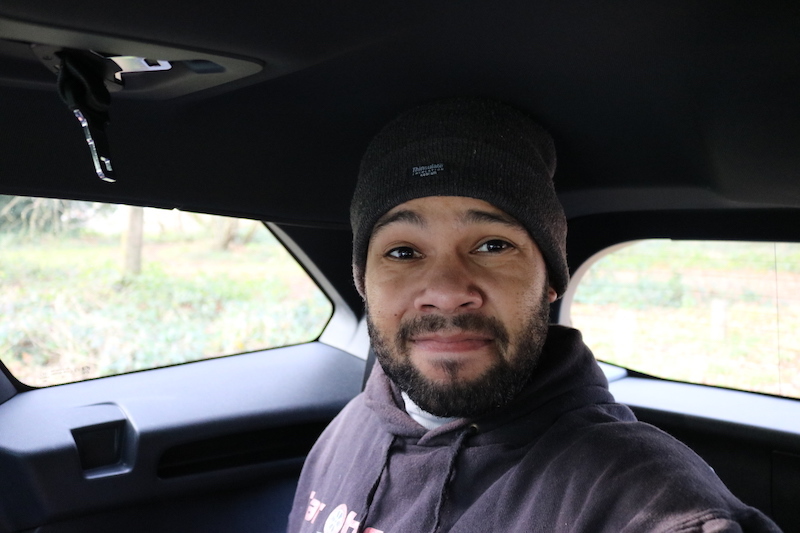 This means that this is not the SUV to choose for a windy country road, as its certainly not the most dynamic, although the body roll wasn’t quite as bad as I was expecting from a car as big as this. Mind you, I doubt this will bother the majority of buyers. 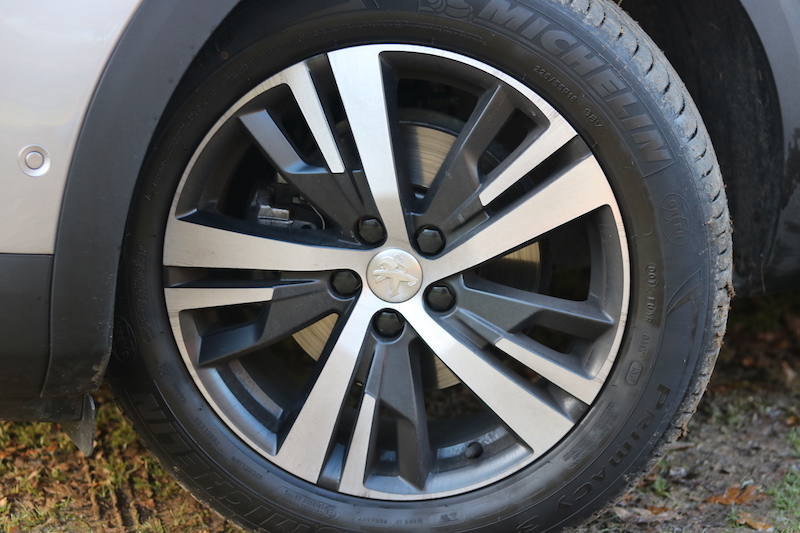 The brakes are nice and crisp though, with a good amount of feedback available through the brake pedal. In my experience, they were less grabby in slow moving traffic compared to the 3008. The car may not shine in the corners, but on the flip side it’s comfortable and the inside is such a nice place to be. The ride is smooth and composed on most roads, but on rougher surfaces it does become unsettled, especially when you hit sizable bumps. Even then though, the chassis will work to protect you from the bumps, but I did notice that the car would shimmy from side-to-side across the tarmac a little bit. 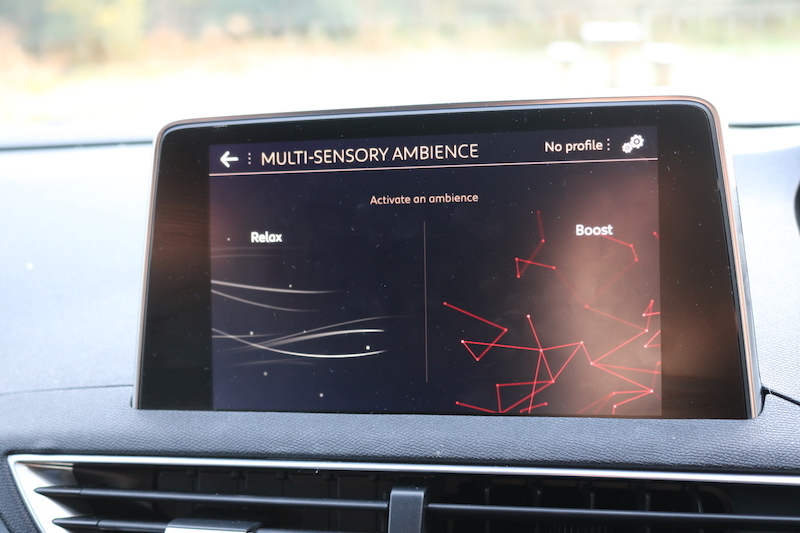 The GT Line gets something called i-Cockpit ‘Amplify’ which adds to the standard system with sensory modes called ‘Relax’ and ‘Boost’. 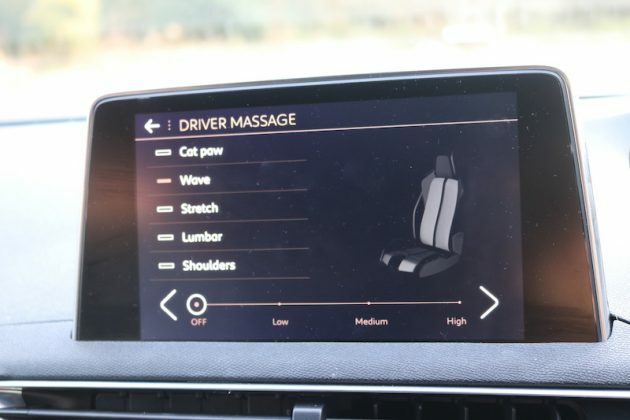 Both modes work alongside the interior lighting – and in this, the seat massager – to make the driving experience a nicer place to be. There are even different fragrances too, to really help set the mood, although I couldn’t really notice these. The Relax mode turns down the interior lighting as well as toning down the 12.3″ digital display so it’s not too tiring for your eyes and the fragrance is changed to something that will, well, relax you. 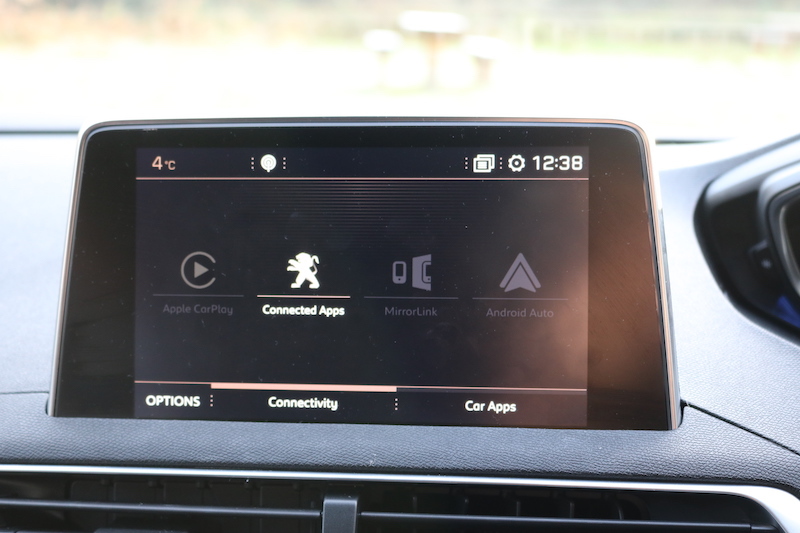 Boost, on other hand, turns the display red, pops the car in to sport mode and feeds engine noise in to the cabin. Relax feels more in tune with the car’s nature though, so that’s the one I’d opt for on a long drive. The 2.0 litre diesel is able to offer a combined figure of 61.4mpg, and in my experience I was getting around an average of 50 and this engine emits 118g/km of CO2 emissions. 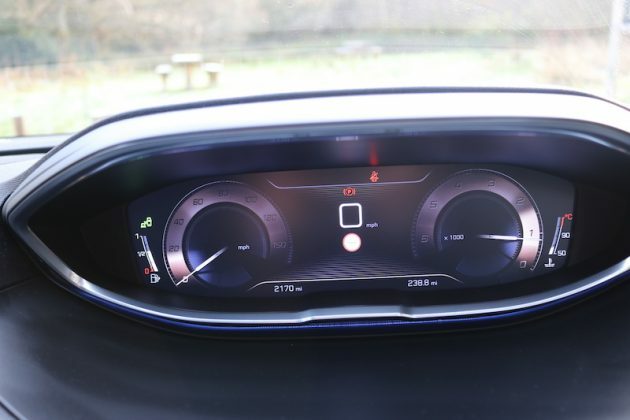 Those looking for the best economy should take a look at the less powerful 1.6 litre diesel, which is able to offer 68.9mpg on a combined run with total of 106g/km of CO2 emissions. 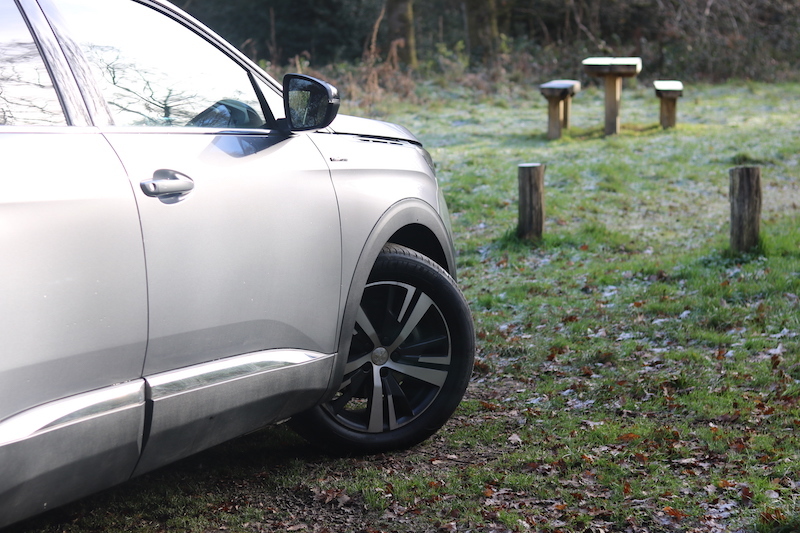 This makes it a stronger choice than the X-Trail, which offers a maximum of 57.6mpg, and it’s better than 56.5mpg offered in the must frugal Kodiaq offered with seven seats. One may argue that seven-seaters aren’t quite as relevant as they used to be, but Peugeot has proved with the new 5008 that they can be trendy and stylish. 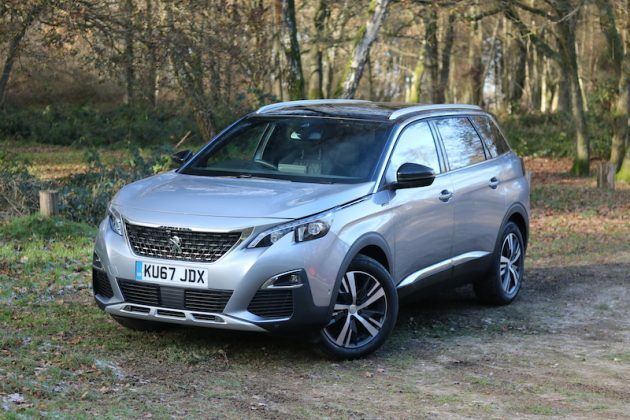 It also offers a good amount of kit as well lots of space – if you go without the panoramic roof – so there is plenty to like about the 5008. Sure, it’s not the most dynamic to drive and the steering isn’t the best, but I can certainly think of worse ways to ferry about 6 passengers or lots of cargo. 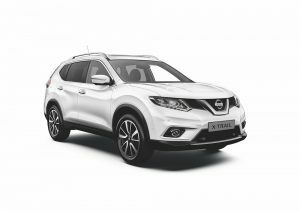 Like its smaller brother, the Qashqai, the X-Trail has been a successful car in its segment and the new model is a better looking car than the previous mode, which is important as style counts for so much in the SUV world. 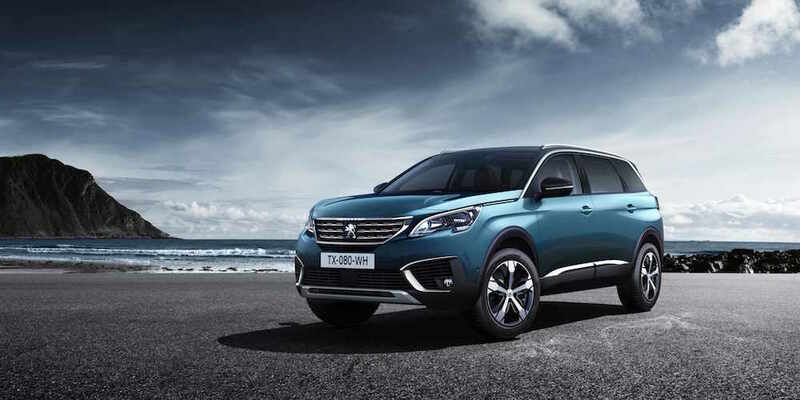 The X-Trail is also available with four wheel drive, which could be a strong advantage over the front wheel drive only 5008. 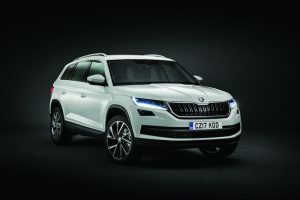 The Kodiaq may be the Czech brand’s first SUV, but it has done well in the market since its launch and like the X-Trail, it’s available with four wheel drive. It also offers a classy interior, although it’s not quite as stylish as the 5008, plus it will cost you a bit more money too.